Digital collage for Take a Word which theme this week is MANNEQUIN. 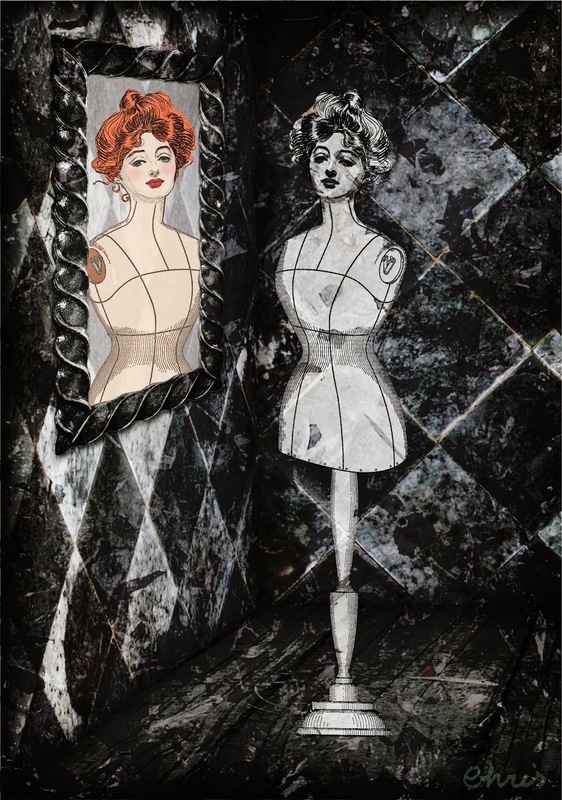 Background: pareeerica; mannequin is an assemblage of different pieces and bits; face: Gibson. Beautiful faces and dramatic background. Well done, Christine. Fascinating work and strong message Chris. Her gaze seems to call us as witnesses to her realities, hers and ours. This is marvelously creative, Chris. I love the imperious look on her face! Mine is up my them of Mannequin. So creative, so effective, so superb. I love it. Oh my goodness, Chris, how on earth did I miss this magnificent piece of art! Amazing.